Are you considering moving home in the Brompton area? Searching for Professional Removal & Storage companies? Are you looking for a moving company close to Brompton with regards to your home move or relocation? 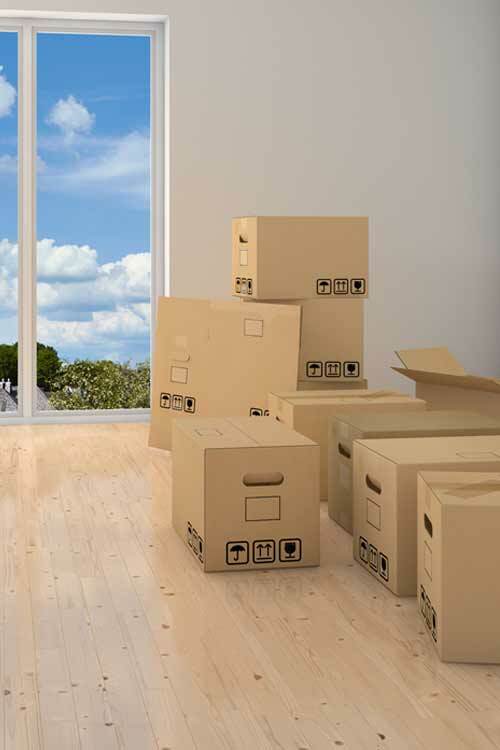 You may be moving house or flat, large or small locally within or near to the Brompton area, moving across London, to the other side of the country or even thinking about moving abroad to Europe or even South Africa, New Zealand or anywhere else, Casey’s Removals can assist you. Our very experienced movers and packers are able to really help to make the change as untroubled as possible. The moving service that we provide is both efficient and convenient. You can depend on our Brompton home movers with regard to a well-managed, hassle-free move. 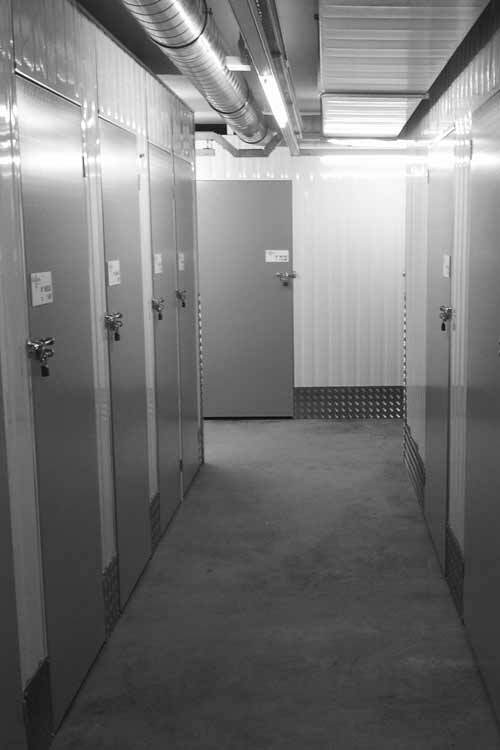 We even provide secure storage if needed. Our removals team will come to your home and collect your goods and deliver them back to you at a convenient time. Book an appointment for our experienced estimator to visit you at your home and prepare an accurate removals price. We have always stressed to customers just how crucial it is for an estimator to pay a visit to your property so as to precisely evaluate all your needs. This is a cost-free service which also presents you the benefit to meet us as well as for you to know who will be dealing with your precious belongings. Please call the below phone number to schedule our estimator to visit. You have nothing at all to lose except 20 minutes of your time. The service was excellent. The team were on time, efficient, friendly, polite and hard working. They made us feel at ease and were very careful with all our possessions. I would definitely recommend and would use again when we need to. Really friendly staff in the office as well who were very patient with us. Our dependable and friendly packers and movers are available to dismantle and very carefully pack all of your home furniture and belongings. We are experienced in packing delicate objects which include glassware, ornaments as well as electric devices, making the most of the absolute best packaging material in order to guarantee protection en route. Since our company provide complimentary goods-in-transit and public liability insurance on all home moves, you can rest assured that your belongings are completely protected. If you want to save and the stress of packing, our Full Packing Service is the one for you. Our professional teams will pack up everything within your home taking special care of all your delicate belongings. If required, we can likewise arrange to unload all your personal belongings as well. Should you be unsure on how to pack your more fragile items such as glassware, mirrors, pictures etc, but would still like to pack you other belongings, then you should consider our Fragile Packing Service. Just call the number below and ask for more information about our Fragile Packing Service. If you wish to have full control of your packing or if budgets are tight, why not think about using our Self Packing Service. We will deliver to your door all the packing material you will need. From moving boxes of different sizes, to packing paper/tissue, packing tape to tape guns. Short-term storage is ideal with regards to household items you solely need to keep in storage for a matter of days or months. 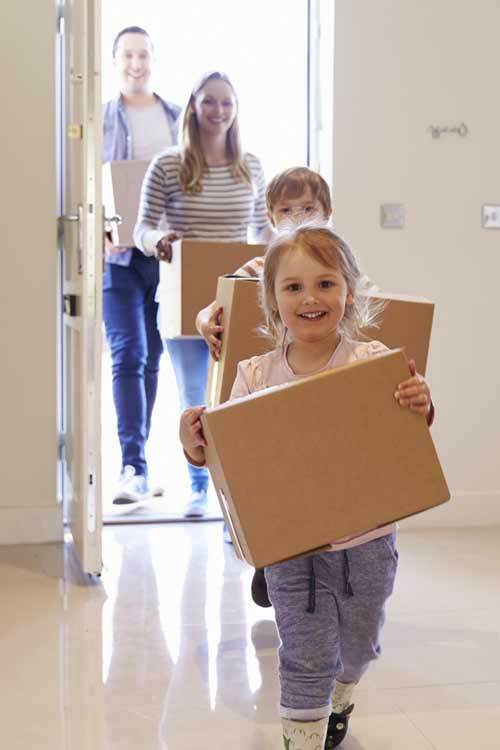 This can be very useful with regards to a lot of people who are moving to a new home but may possibly have a delay between moving from their old home to their new home, which requires them to spend a short time in rented accommodation. Another reason people may want to use short-term storage is that of decorating or even remodeling their home (extensions and/or conversions). Long-term storage is great for a lot of people that moving or relocating to a different country and will require to store home furniture or various other belongings for a longer period of time. Long-term storage would probably also be good for lots of people that have moved to a much smaller house or apartment and really need to put unwanted household furniture in storage. Casey’s Removals not only moves your furniture and personal belongings, but should you own a piano, our team can move that too. We have the appropriate equipment and skills to move your precious piano in a safe manner, whether that be an Upright or Grand Piano. Our team have been assisting our customers with their piano relocation needs for over 14 years. Even if you live on the 7th floor we are able to move it. If access is difficult and awkward, we can put to use our furniture hoist. Our piano movers are fully trained and insured so as to take care of piano removals of numerous types. Our team are insured against any type of damage that may happen to your instrument. 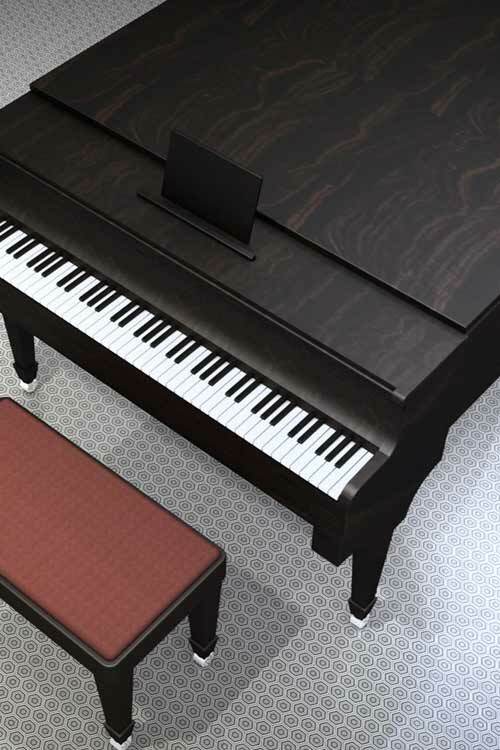 Being a reputable piano moving company in the South East, we work in all local areas around London, Kent and Surrey. Whether or not you are trying to find piano movers or piano storage in the Brompton area, you will find our fees are very competitive. Get in touch with our team today to get a free price quote on your piano move across London, Surrey, Kent and the surrounding Home Counties areas. You can speak to our friendly team on 020 8780 2348. You may live in an apartment building and there are times when you need to move or are having delivered large furniture or heavy items, such as cookers and fridge/freezers, but the building has narrow doors and stairs, which makes moving such items very difficult, if not impossible. We have the answer and solution! 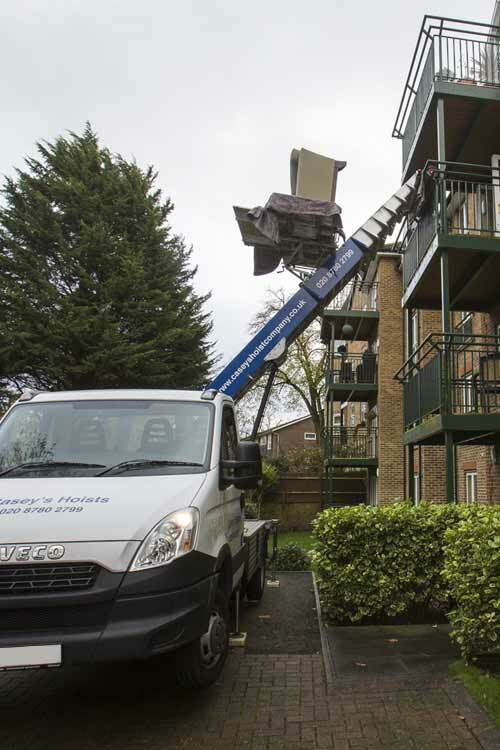 Our truck-mounted external furniture hoist (click here to learn more) permits us to lift furniture plus other substantial items up to just about any balcony, window or roof terrace, clearing away the requirement for scaffolding. Our furniture hoist is a quick, efficient together with affordable way to raise up a recognized volume of furniture or equipment (up to 400kg) during a delivery or relocation. Do You Need To Rent a Furniture Hoist or Platform in Brompton area? In the event that you have awkward or even difficult access and require to hire a furniture hoist call us right now on 020 8659 6677 anytime from 8am to 9pm 7 days-a-week. Why Hire Us as Your Preferred Brompton Removals Company? • Alongside our wide-ranging home relocations service, our team also offer a full international removal service together with expert suggestions on packing, shipping and storage as required. • Running a line of modern vehicles, all teamed by well-trained house movers. • With over 14 years of experience inside the moving and removals industry, our company are a family run removal and house moving business within the Kent and London region and are proud of our reputation for highly affordable prices, a wide variety of services, professional approach and dedication to consistently reach the high criteria we set ourselves. Looking for a Professional and Trustworthy Moving Firm near Brompton? Whenever you’re trying to find dependable and reliable removals near Brompton, why not get in touch with Casey’s Removals? We’re on-hand to help from 8am to 9pm, 7 days-a-week, irrespective how big or small your challenge or enquiry might appear! Do you want to discover more about Brompton removals? Click link.